For most days last summer, Rachel Wall ’20 found herself working in 2-foot deep pits or sifting through dirt to find ancient artifacts, something she’s planning to repeat during winter break. As a volunteer with the Antigua Archaeological Field School program at Indian Creek, she’d be covered in dirt by the end of the day from sifting through mound after mound to find shells, pottery and whatever other treasures awaited her. Rachel Wall ’20 is a volunteer with the Antigua Archaeological Field School program at Indian Creek. 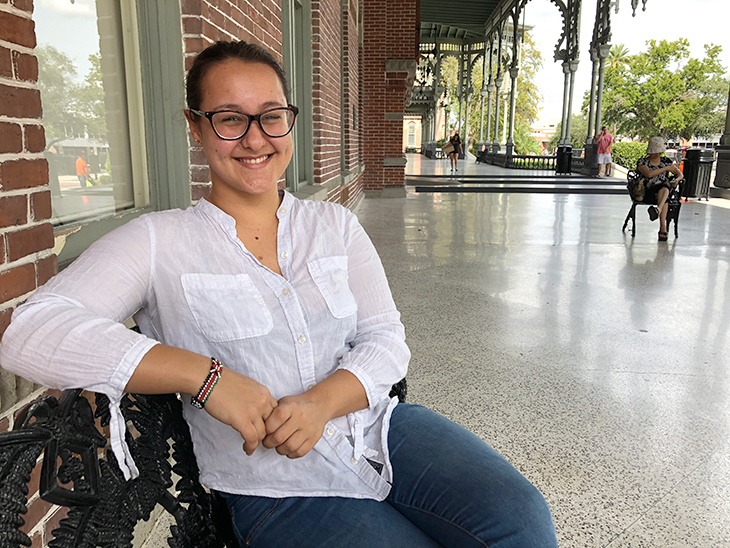 An allied health major, she uses the experience to learn from working professionals and make greater connections to the human experience. “I did more of the hands-on stuff with the doctors in the field, setting up the site each day to make sure the level of the site was appropriate and performing the distance measurements. I did some of the sorting on site, like sorting shells into piles,” Wall said. “I also got to rearticulate vertebrae and put some pottery back together,” she said excitedly. The work could be like looking for a needle in a haystack, but the excitement from finding a match outweighed the tedious parts. “You can tell it’s a piece of pottery because of the texture and how it’s shaped, but a lot of the time when you get fresh water to gently rub off the dirt, suddenly all these colors appear, and you can say these all belong to the same pot and jigsaw your way through it. Except it’s a jigsaw where you don’t know the answer and there are pieces missing, but you don’t know which pieces are missing. It’s fantastic,” Wall laughed. Wall, an allied health major with a minor in psychology, has always been interested in archeology. Growing up in Antigua near a World Heritage Site, she was used to seeing archaeological field schools and volunteering in small ways as she could. Recently, a team found a pot while they were excavating on the island, which she said they thought was a little weird since it was so near the surface. After further excavation, they realized it was actually covering a human pelvis and was likely a burial site. 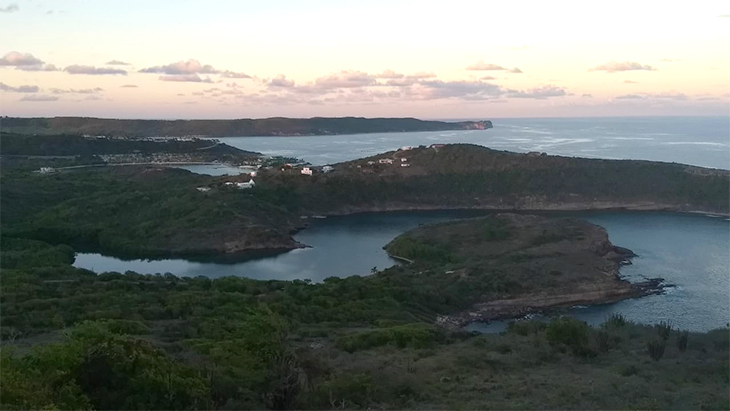 The project was managed by Reg Murphy, director of the National Parks Archaeology Heritage and Research Department, Antigua, who said the focus of the work was on the excavation of human remains dating to the early Arawak people settlement of the island and continuing the excavation of test pits to determine the full size of the settlement. Wall’s work involved excavation, screening of materials, learning to use the field equipment, and the preliminary sorting and analysis of the materials. As a student who wants to work in physical therapy, Wall made the connections to her profession by focusing on the human experience. Wall became interested in physical therapy after first being a patient. She was a national swimmer in Antigua for seven years, competing in the Commonwealth Games in 2014 and World Championships in 2010. She disabled both of her rotator cuffs, tearing both tendons. “It was pretty bad. I couldn’t lift my arms, and the physical therapist I worked with helped me get back to where I was,” said Wall, who is a BAC mentor, a student assistant for Residence Life and a certified emergency medical responder. Her experience as a young athlete is driving an independent study she’s working to establish this coming summer. She wants to work with several coaches in Antigua to compile data on how the young athletes are being affected by competitive training. Her curiosity about the way things work around her, the causes and effects, drive some of her interest in archeology. She likes solving puzzles, even if it’s slow progress with tiny rewards. Other rewards came in making connections between herself and the people who lived before her in Antigua while washing off pieces of pottery found in the dig site and seeing their colors and patterns come to light. Wall has always been interested in archeology. 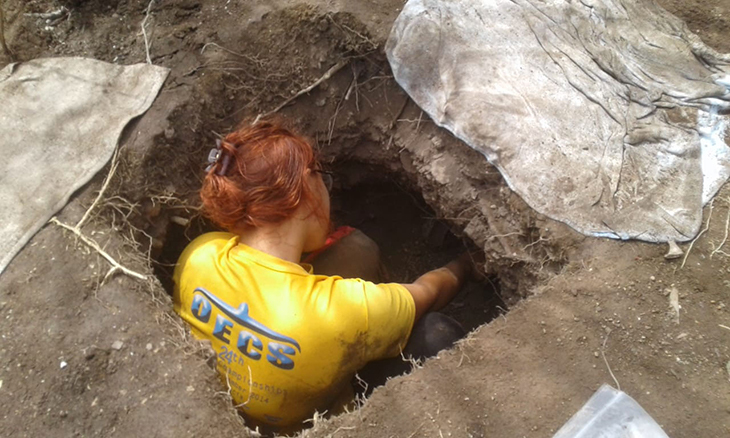 Growing up in Antigua near a World Heritage Site, she was used to seeing archaeological field schools and volunteering in small ways as she could. Wall said she’ll always be a “complete geek about archeology,” but the appreciation that people are more than the sum of their parts will make her treat her future patients differently. The experience, she said, has shaped her professionally by learning from experts in the top of their field and observing how they think and work and process.